If you read Joyce’s work in the same order that he wrote it, the sequence forms a perfect James Joyce tutorial. His early writing is simple and easy to understand, then it gradually becomes more complex as he experimented with the possibilities of language. Be prepared to extend the range of your vocabulary, to discover prose blended with poetry, and to encounter amazingly inventive word-play in the later work. Joyce’s writing was also considered quite scandalous when it first appeared, because it is critical of religion and frank about sexual matters. Dubliners is his first major work – a ground-breaking collection of short stories in which he strips away all the decorations and flourishes of late Victorian prose style. What remains is a sparse yet lyrical exposure of small moments of revelation – which he called ‘epiphanies’. Like other modernists, such as Katherine Mansfield and Virginia Woolf, Joyce minimised the dramatic element of the short story in favour of symbolic meaning and a more static aesthetic. This collection of vignettes features both real and imaginary figures in Dublin life around the turn of the century. The collection ends with the most famous of all Joyce’s stories – ‘The Dead’. It caused controversy when it first appeared, and was the first of many of Joyce’s works to be banned in his native country. Dubliners is now widely regarded as a seminal collection of modern short stories. New readers should start here. A Portrait of the Artist as a Young Man is Joyce’s first complete novel – a largely autobiographical account of a young man’s struggle with Catholicism and his desire to forge himself as an artist. It features a prose style whose complexity develops in parallel with the growth of the hero, Stephen Dedalus. The early pages are written from a child’s point of view, but then they quickly become more sophisticated. As Stephen struggles with religious belief and the growth of his sexual feelings as a young adult, the prose become more complex and philosophical. In addition to the account of his personal life and a critique of Irish society at the beginning of the last century, it also incorporates the creation of an aesthetic philosophy which was unmistakably that of Joyce himself. The novel ends with Stephen quitting Ireland for good, just as Joyce himself was to do – never to return. Ulysses (1922) is one of the greatest novels of the twentieth century, and it is certainly Joyce’s most celebrated work. He takes Homer’s Odyssey as a structural framework and uses it as the base to create a complex story of characters moving around Dublin on a single day in June 1904. 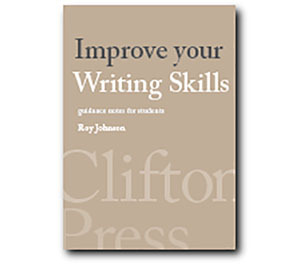 Each separate chapter is written in a different prose style to reflect its theme or subject. The novel also includes two forms of the ‘stream of consciousness’ technique. This was Joyce’s attempt to reproduce the apparently random way in which our perceptions of the world are mixed with our conscious ideas and memories in an unstoppable flow of thought. There is a famous last chapter which is an eighty page unpunctuated soliloquy of a woman as she lies in bed at night, mulling over the events of her life and episodes from the previous day. Finnegans Wake is famous in literary circles as a great novel which almost no one has ever read. Joyce said that he spent seventeen years of his life writing Finnegans Wake and that he expected readers to spend the rest of their lives trying to understand it. It continues where Ulysses leaves off in terms of linguistic complexity. Written and rewritten many times over, Joyce eventually decided to incorporate many languages other than English into the narrative. It is a fantastic crossword-puzzle of puns, parodies, jokes and linguistic invention which make enormous intellectual demands on the reader. This, in addition to the many arcane references and a very complex narrative make Finnegans Wake a literary experiment which has never been surpassed. It is one of the great unread masterpieces of twentieth century literature. The Cambridge Companion to James Joyce contains eleven essays by an international team of leading Joyce scholars. The topics covered include his debt to Irish and European writers and traditions, his life in Paris, and the relation of his work to the ‘modern’ spirit of sceptical relativism. One essay describes Joyce’s developing achievement in his earlier works (Stephen Hero, Dubliners, and A Portrait of the Artist as a Young Man). Another tackles his best-known text, asking the basic question ‘What is Ulysses about, and how can it be read?’ The issue of ‘difficulty’ raised by Finnegans Wake is directly addressed, and the reader is taken through questions of theme, language, structure and meaning, as well as the book’s composition and the history of Wake criticism. Biographical notes, study guides to the major works, book reviews, studies of the short stories, bibliographies, web links, study resources. A limited collection of free eTexts in a variety of digital formats. Full biography, social background, interpretation of the major works, religion, music, list of biographies, and external web links. Adaptations for the cinema and television – in various languages. Full details of directors and actors, plus box office, technical credits, and quizzes. Exhibition centre, walking tours, lectures, and newsletter. The latest addition is a graphic novel version of ‘Ulysses’. University of Wisconsin – digitised scans of Finnegans Wake and out-of-print studies on Joyce’s language, plus rare critical studies. An online version of Ulysses with hyperlinks giving explanations of obscure and classical references in the text. Cornell University – a collection of letters, manuscripts, and books documenting the life and work of James Joyce on exhibition in 2005. Particularly strong on Joyce’s early life.